The government is to introduce an investigatory powers bill that is far more wide-ranging than expected, including an extension of the powers of the security services in response to the surveillance disclosures by the NSA whistleblower Edward Snowden. The legislation will include not only the expected snooper’s charter, enabling the tracking of everyone’s web and social media use, but also moves to strengthen the security services’ warranted powers for the bulk interception of the content of communications. The surprise extension of the scope of the bill beyond legislation to “modernise the law” on tracking communications data was agreed within government only this week. It appears that David Cameron has decided to take advantage of his unexpected majority in the Commons to respond to Snowden’s disclosures by extending the powers of the security services. Ministers promise to provide for “appropriate oversight arrangements and safeguards”, but there is no immediate detail on how the complex web of intelligence and surveillance commissioners and parliamentary oversight might be strengthened. The government also promises that the legislation will respond to issues raised by David Anderson QC, the official reviewer of counter-terrorism legislation, in his assessment of bulk surveillance powers used by the police and security services under the Regulation of Investigatory Powers Act 2000. Anderson delivered his report to Downing Street on 6 May, the day before the general election, and it is expected to be published in the next few days. Anderson has said his review considered the safeguards to privacy, issues of transparency and oversight as well as the powers needed to meet the challenge of changing technologies. He has said it was a “substantial piece of work” and included him travelling to Berlin, California, Washington DC, Brussels and Ottawa. “The report won’t please everyone [indeed it may not please anybody]. But if it succeeds in informing the public and parliamentary debate on the future of the law from an independent perspective, it will have done its job,” he said on his blog. Jim Killock, executive director of the Open Rights Group, said: “The government is signalling that it wants to press ahead with increased powers of data collection and retention for the police and GCHQ, spying on everyone, whether suspected of a crime or not. Renate Samson, chief executive of Big Brother Watch, said: “Whilst the title may have changed from a communications data bill to an investigatory powers bill, it will be interesting to see whether the content has radically changed. The extended scope of the bill may follow some of the recommendations of the intelligence and security committee (ISC), which suggested in March that the entire existing surveillance legal framework should be replaced by a single new act of parliament. The MPs and peers suggested that the new legislation should list every intrusive capability available to the security services and specify their purpose, authorisation procedure and what safeguards and oversight procedures exist for their use. This presumably extends to the kind of GCHQ bulk data collection programmes such as Temp0ra and Prism disclosed by Snowden. The ISC said the introduction of the new communications data legislation was “critical”, but added that a new category of data called “communications data plus” should be established. It said this would acknowledge that some forms of communications data could reveal private information about a person’s habits, preferences or lifestyle choices, such as websites visited. “Such data is more intrusive and therefore should attract greater safeguards.” they recommended. The other four Home Office bills are largely as trailed. The extremism bill will include powers to “strengthen the role of Ofcom so that tough measures can be taken against channels that broadcast extremist content”. This is despite warnings from Sajid Javid, the business secretary, that the initial proposals threatened free speech. The bill also includes the introduction of employment checks enabling companies to find out whether an individual is an extremist so they can be barred from working with children. This is alongside already announced proposals for banning orders, extremism disruption orders and closure orders to be used against premises that are used to support extremism. The immigration bill will create a new enforcement agency to tackle the worst cases of exploitation as well creating an offence of illegal working and enabling wages to be seized as proceeds of crime. Ministers promise to consult on the introduction of a visa levy on businesses that recruit overseas labour to fund extra apprenticeships for British and EU workers. 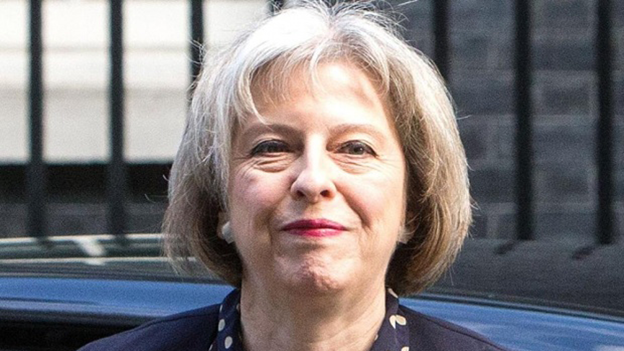 The five bills mean that the home secretary, Theresa May, will be one of the busiest cabinet ministers in parliament. Her policing and criminal justice bill will implement her mental health reforms, end the use of police bail for months or even years without judicial check, and introduce sanctions on professionals including social workers who fail to report or take action on child abuse. Ministers have been silent on the sentencing aspects of this bill but the Conservative manifesto promised the introduction of short, sharp custodial sentences for persistent offenders. The new justice secretary, Michael Gove, may be looking again at this proposal. The psychoactive substances bill or legislation to introduce a blanket ban on legal highs is to be introduced this week. It will criminalise the trade in legal highs with prison sentences of up to seven years but will not make personal possession a criminal offence. The legislation will distinguish between everyday psychoactive substances such as alcohol, tobacco, caffeine and some medicinal products and new designer drugs that imitate more traditional illegal substances.